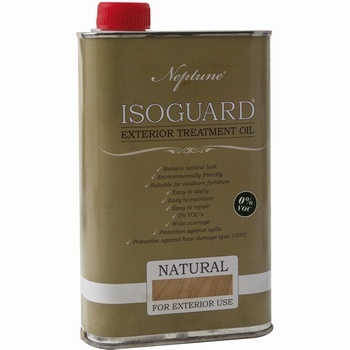 IsoGuard™ Treatment Oil is a technology we developed, with a specific need for a durable finish to oak furniture. There was nothing on the market that gave a high performance, didn't stain or leave an oily residue. It was the kind of challenge we like. We found the solution in an unlikely place. On the deck of a boat. Using advanced nanotechnology research undertaken by the sailing industry we developed a product that could penetrate into the wood, leaving no residual layer on the surface and protecting each individual molecule of the timber.